Imaginative, exciting, vibrant, fun and professional – all buzzwords associated with newly formed advertising, media buying and marketing production firm, Wolf Daddy. 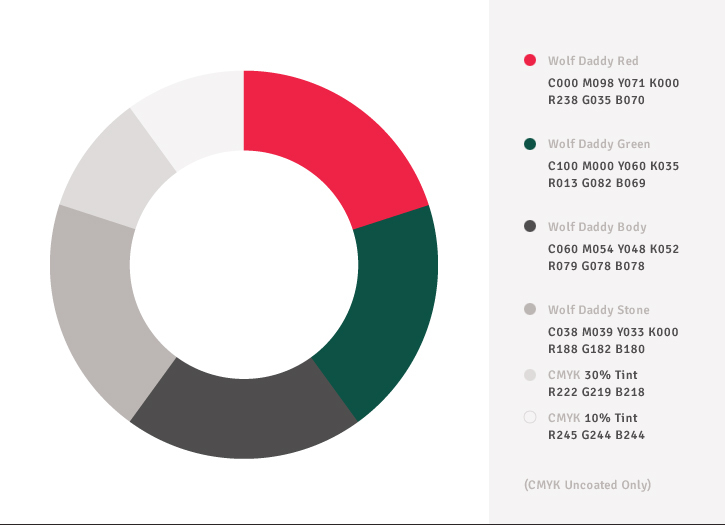 With a name like Wolf Daddy and a mission to create truly memorable campaigns that resonate with audiences, this independent challenger deserved a bold identity to embody its ambition. 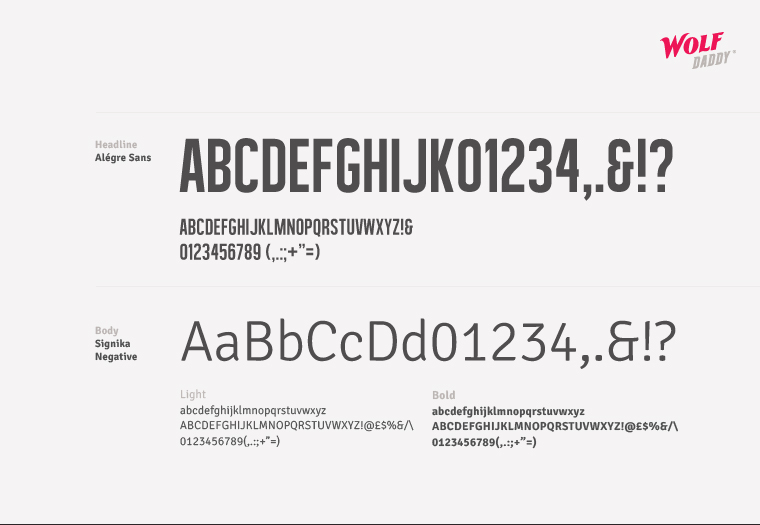 Avenue were commissioned to lay the foundations for Wolf Daddy’s aspirational brand by designing its logo, selecting a typographical hierarchy, picking corporate colours and creating the business’ stationery. 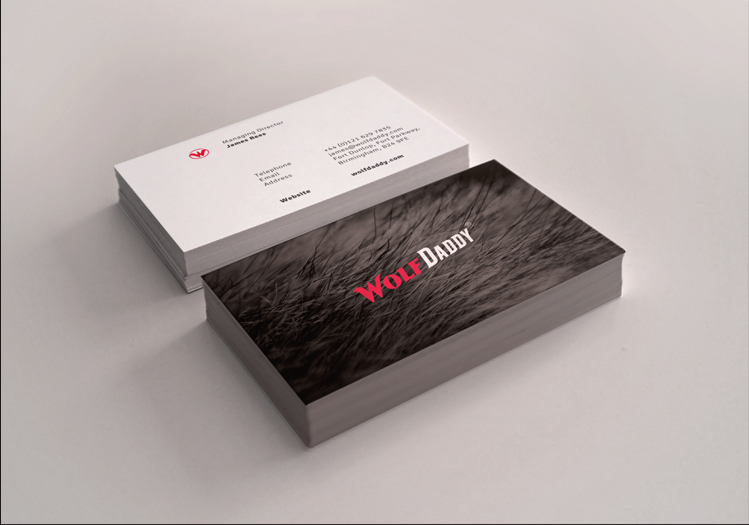 The Chosen Wolf Daddy Identity Design. Wolf Daddy Business Card Design. 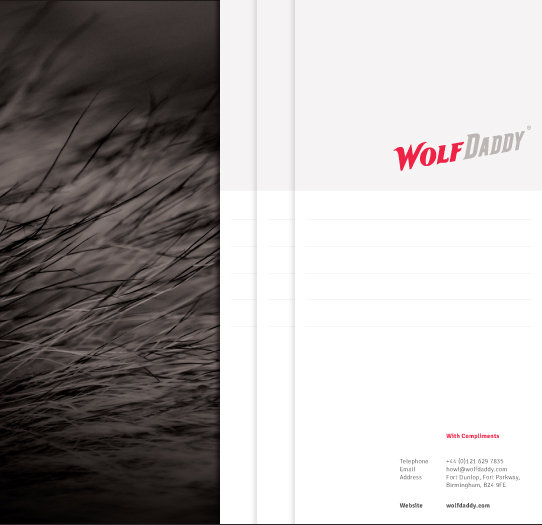 Wolf Daddy Compliments Slip Design. The Wolf Daddy Brand On Facebook & Twitter. This Graphic Shows How The Chosen Logo Was Contsructed. Alternative Wolf Daddy Logo Designs.